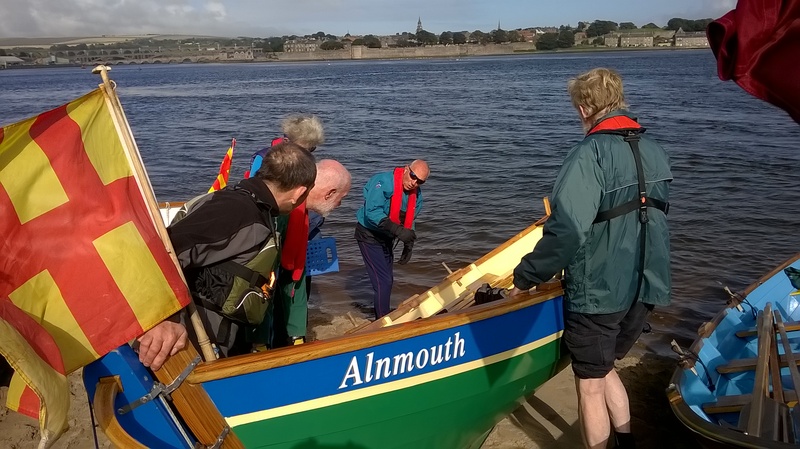 Alnmouth Community Rowing (“ACR”) welcomes you to enjoy being on the sea in this lovely area. We offer sessions open to all. Pride of Aln is always under the command of an experienced cox, with at least two experienced crew. 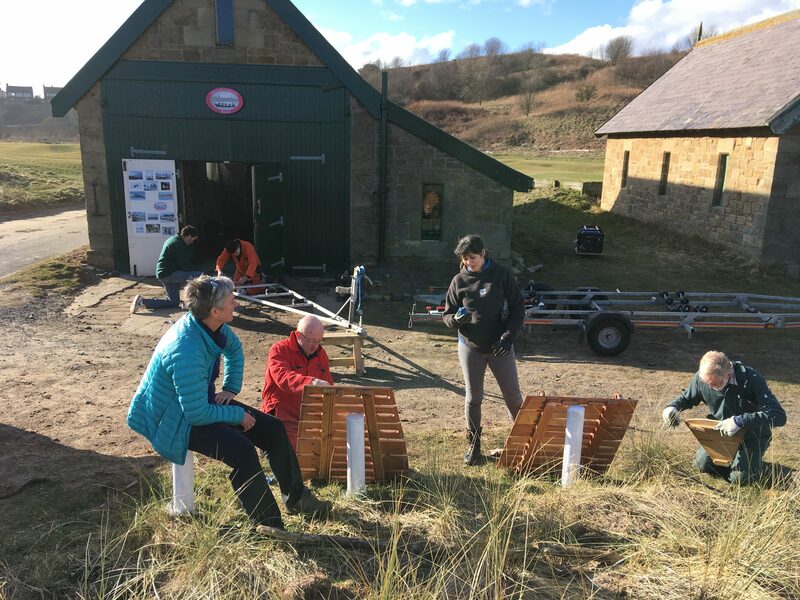 You can join the crew and row for an hour or so see some of the beautiful coastline around Alnmouth and/or row up the Aln River. We provide life jackets and a safety briefing beforehand. We are based in the lifeboat house in Alnmouth Bay, by the beach car park. This is the centre of our operations, where the boat and equipment is stored. There are also some picture displays inside the boathouse of historical and maritime interest. Newcomers are welcome to visit any time the boathouse doors are open. To check available rowing times please email secretary@alnmouthrowing. All rowing is dependent on good conditions on the water, and is subject to the discretion of the cox on the day. ACR is a members’ club and is non-profit making. We make a small charge towards overheads of £5 per day for a visitor membership. This is paid at the boathouse. Family discounts are available. We also need a completed membership form, which you can find below to print off. Below is a copy of the flyer giving general information about rowing with ACR and a copy of the membership form to complete. Please note the Visitor Rowing flyer refers to summer times – see “when do we row?” above for current availability.